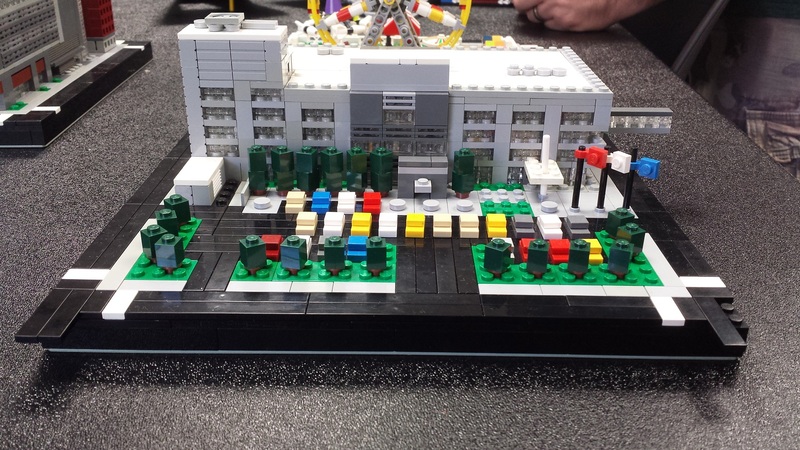 Micro-scale MOC of Citizens’ Square by member Greg Majewski. The Millennium Falcon, assembled by member Aaron Price. 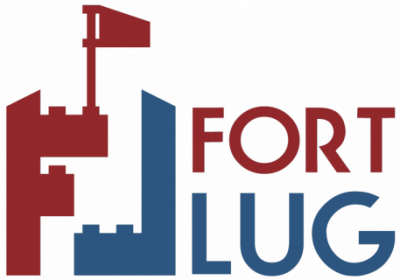 FortLUG invites you to Brickworld Fort Wayne 2017, happening this weekend, October 14 & 15. 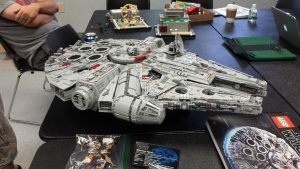 This will be the fourth year FortLUG has displayed at the annual event. Our layout this year will feature a collaborative city, an epic Star Wars vignette, and an imaginative micro-scale layout of Fort Wayne. The event starts at 10AM Saturday and goes until 6PM, then re-opens from 10AM-5PM on Sunday. Tickets can be purchased at the door or online. Our display table will be near the front door so we’ll be one of the first displays you see. Look for our sign and our brand new t-shirts, which we’ll all be wearing. Come see us and the worlds we can create!